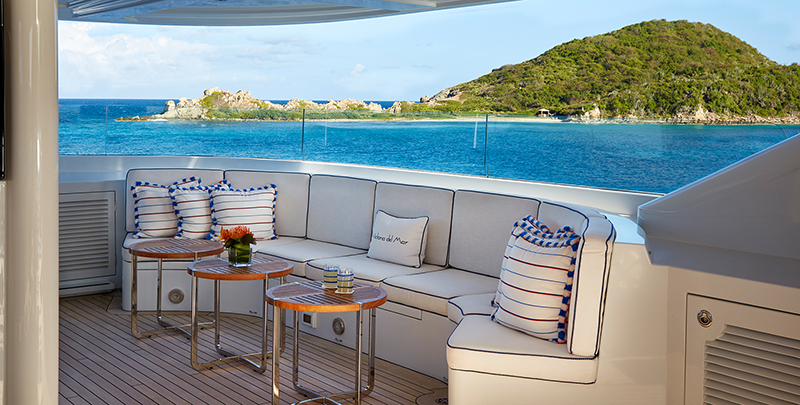 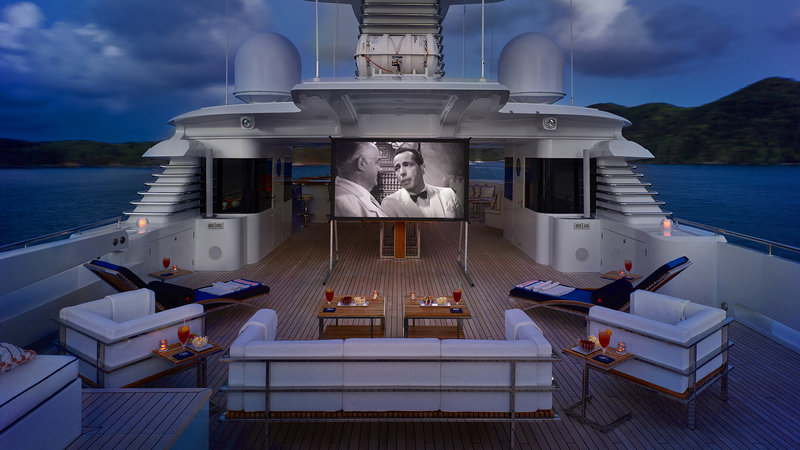 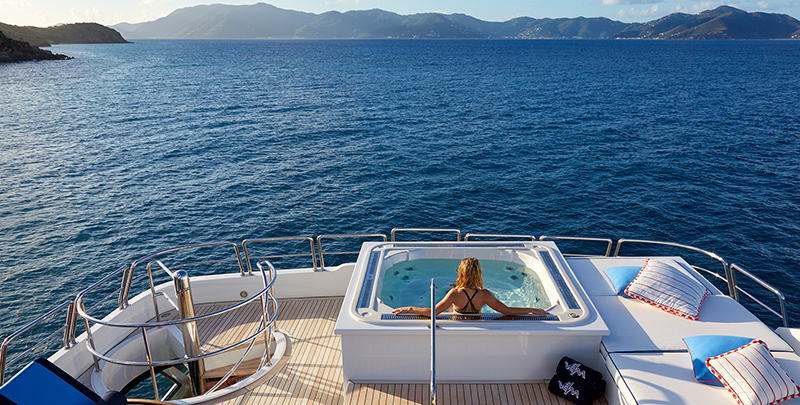 Sun Deck: In the evenings, the sun deck converts to an outdoor cinema, where the Kaleidescape entertainment system offers a library of thousands of movies and shows to be viewed on the double-sided, 100in high-definition screen, which is viewable from anywhere on the deck. 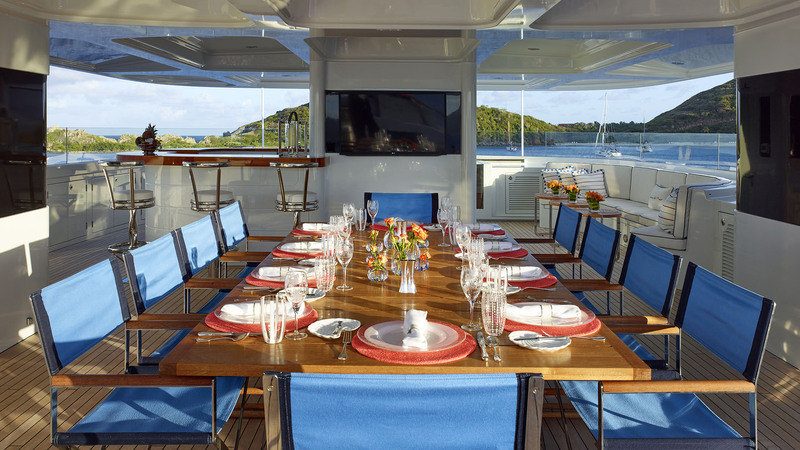 Sun Deck: Contemporary stainless steel and teak furniture provides copious seating, sunning and lounging areas on the expansive sun deck. 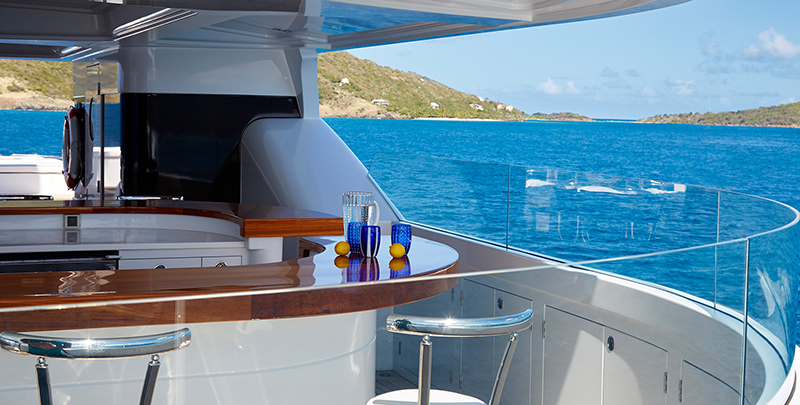 Sun Deck: With stools for six, the teak-topped sun deck bar offers cocktails with a view. 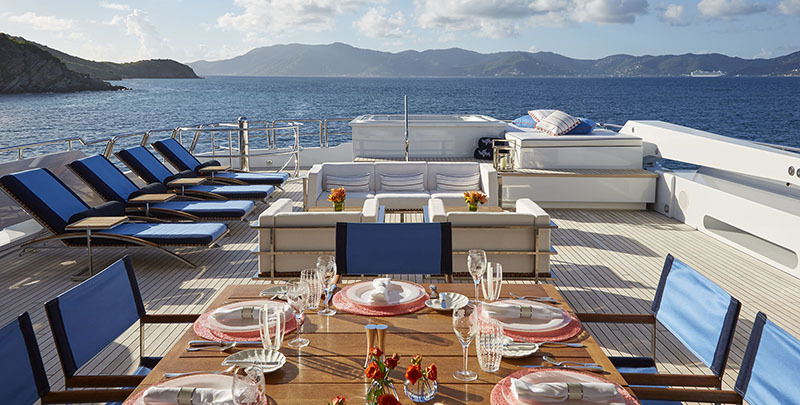 Sun Deck: A large sunpad flanks the spa pool and beckons loungers, while removable sunshade sails can be installed for those who prefer a respite from the sun. 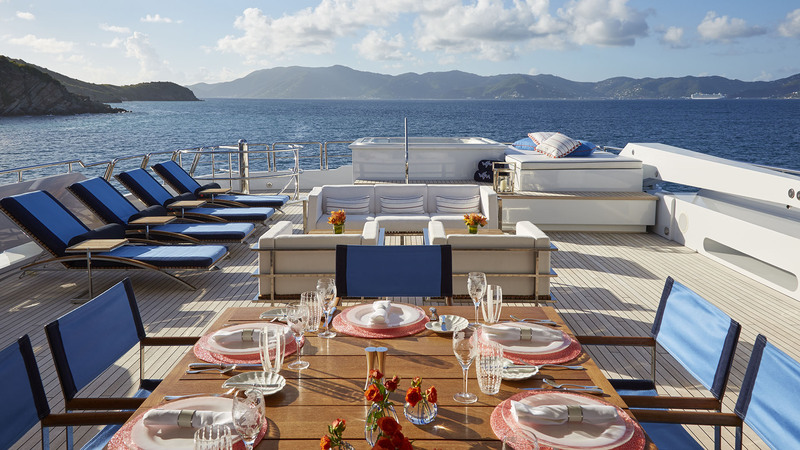 SUN DECK LOUNGING: Whether working on a tan or catching up with friends and family, the sun deck offers multiple seating areas with panoramic views. 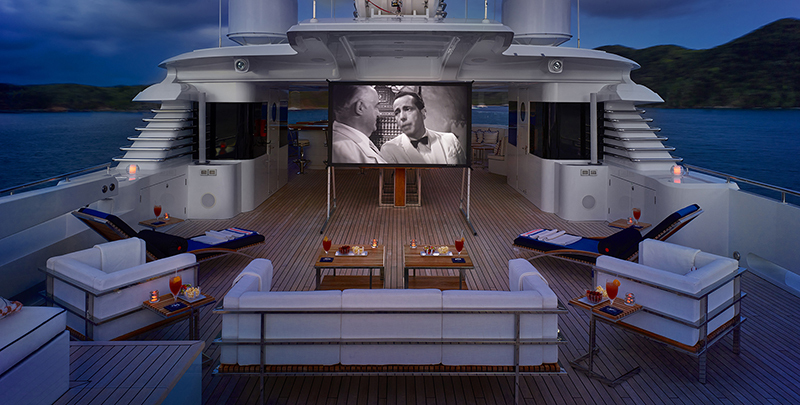 Sun Deck: Al fresco dining under the stars is possible on the sun deck for as many as 18 guests. 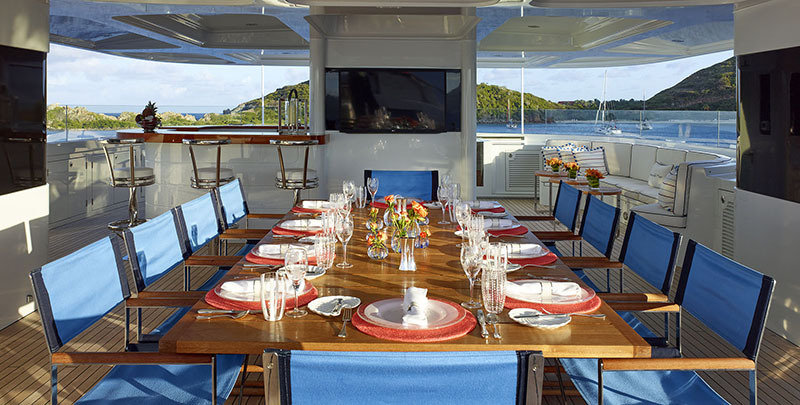 Served by a large teak-topped bar, this deck also includes an air-conditioned bathroom complete with shower. 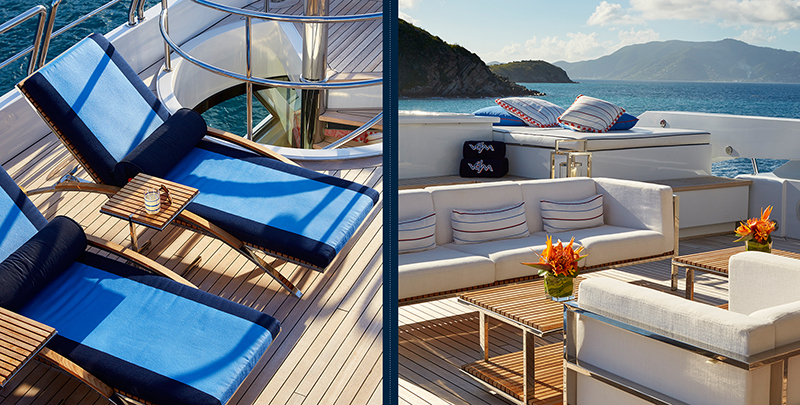 SUN DECK SETTEE: Forward on the sun deck, this shaded portside settee invites relaxation.